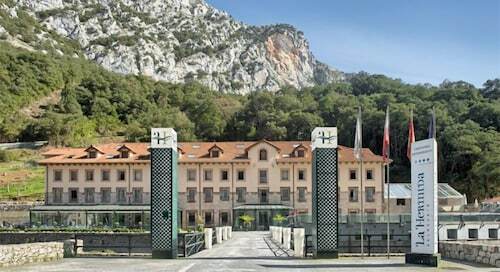 Situated in Penarrubia, this spa hotel is within 9 mi (15 km) of Santa Catalina Viewpoint, Sotama Visitor Center, and Millennial Chestnuts of Cillorigo de Liébana. Torre del Infantado and Santo Toribio de Liebana Monastery are also within 12 mi (20 km). Situated in Penarrubia, this apartment building is 3.3 mi (5.2 km) from Santa Catalina Viewpoint and 10.7 mi (17.2 km) from Sotama Visitor Center. Ferreria de Cades and Torre del Infantado are also within 16 mi (25 km). 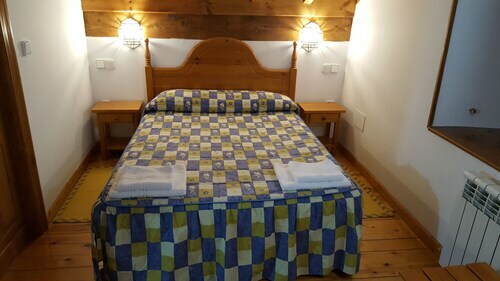 Situated in Potes, this hotel is 0.1 mi (0.2 km) from Torre del Infantado and within 3 mi (5 km) of Santo Toribio de Liebana Monastery and Sotama Visitor Center. Millennial Chestnuts of Cillorigo de Liébana and Mogrovejo Tower are also within 9 mi (15 km). 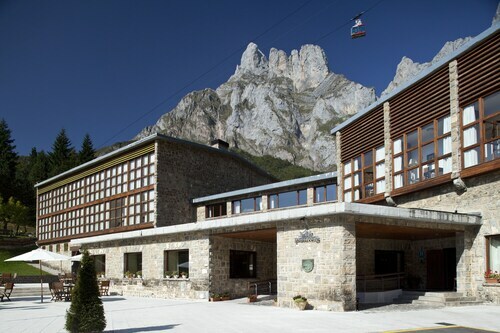 Situated in a national park, this hotel is 0.1 mi (0.2 km) from Fuente De Cable Car and 9.3 mi (14.9 km) from Mogrovejo Tower. Torre del Infantado and Santo Toribio de Liebana Monastery are also within 16 mi (25 km). Central Penarrubia has very few accommodation options. If you're up for a short drive, you can choose to stay in any of the 5 hotels within 10 kilometres. If you want to stay as close as possible to the main areas, the Rusticae Casona D'Alevia and Apartamentos el Tío Pablo are your best options. For some alternatives, try the Mirador de la Franca and the Las Rocas. They are 15 kilometres and 25 kilometres respectively from the center. 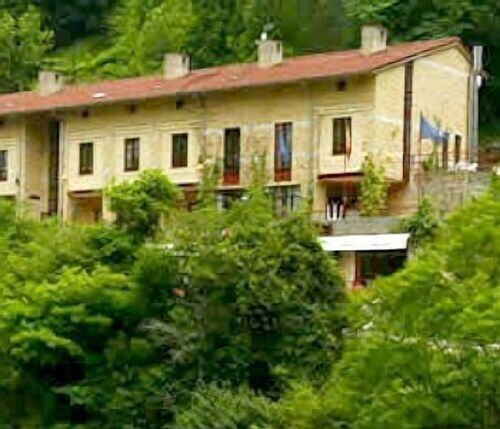 Some more alternatives are the Hotel Noray, 20 kilometres away, and the Arcea La Arquera, 20 kilometres. The nearby localities of Ojedo and Cambarco are certainly worth seeing. Ojedo is 10 kilometres to the south of Penarrubia, while Cambarco is 12 kilometres to the south. Hotels in Ojedo include the Hotel Infantado and Arha Hotel & Spa. 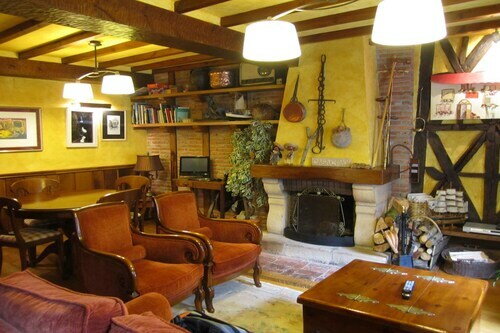 The Viviendas Rurales La Fragua and Posada La Trebede are some of the choices in Cambarco. If you are into sports and want to see games, you might choose to make a trip to El Sardinero Stadium, which can be found to the east of Penarrubia. The Eurostars Hotel Real and the Gran Hotel Sardinero are near all the action. Located 65 kilometres from Penarrubia is Santander Airport. Stay nearby at the Vincci Puertochico or the Hotel Bahia. How Much is a Hotel Room in Penarrubia? Hotels in Penarrubia start at AU$97 per night. Prices and availability subject to change. Additional terms may apply. This hotel was perfect for what we needed. Rooms are small but the view from out room was amazing. The staff are awesome. Although they speak a little English and we unfortunately don't speak any Spanish we had no trouble communicating. Manolo was a great host. After walking the Cares Gorge track, the hotel was great to have a drink and meal in. The hotel is right at the start of the track which was ideal. The walk was stunning.